Where's The Best Airport In The World To Be Stranded? : Parallels Well, that depends on what you're looking for. Butterflies? Singapore's Changi can't be beat. Biergarten? 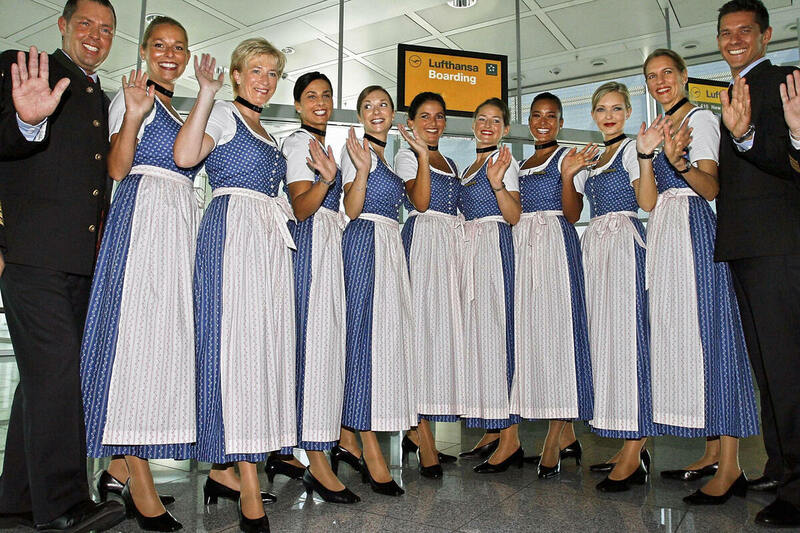 Try Munich's airport. Wings? Buffalo, naturally. Chocolate? Brussels is your best bet. Here's a totally unscientific list of the best places to be stuck while you're awaiting your flight. The Butterfly Garden in Terminal 3 is just one of the pleasant diversions at the Changi airport in Singapore. 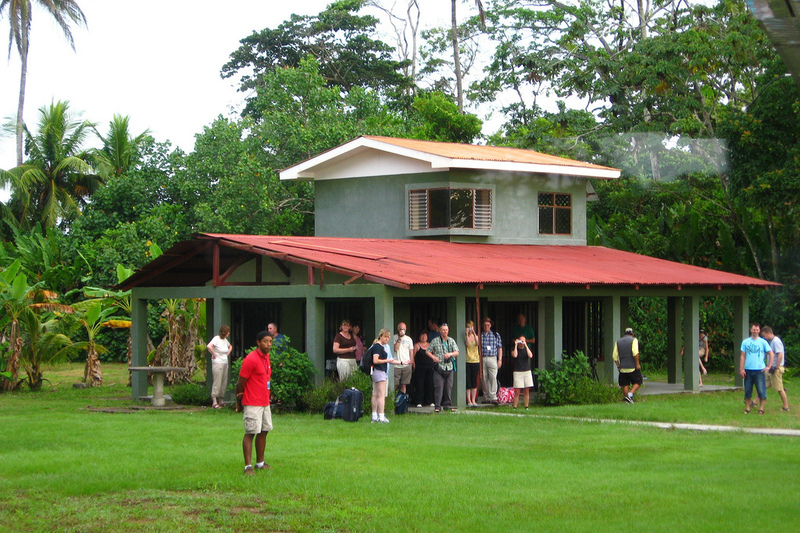 The holidays mean many things, among them: travel. Combine that with wild weather patterns and you often get some unexpected downtime in the world's weirdest corners. We're talking layovers and delays and canceled flights and the like. But what if that wasn't all bad news? What if there were an airport that you actually looked forward to being stuck in? Is it possible? According to this list of favorites, it may be. It has been described as a "dream come true." 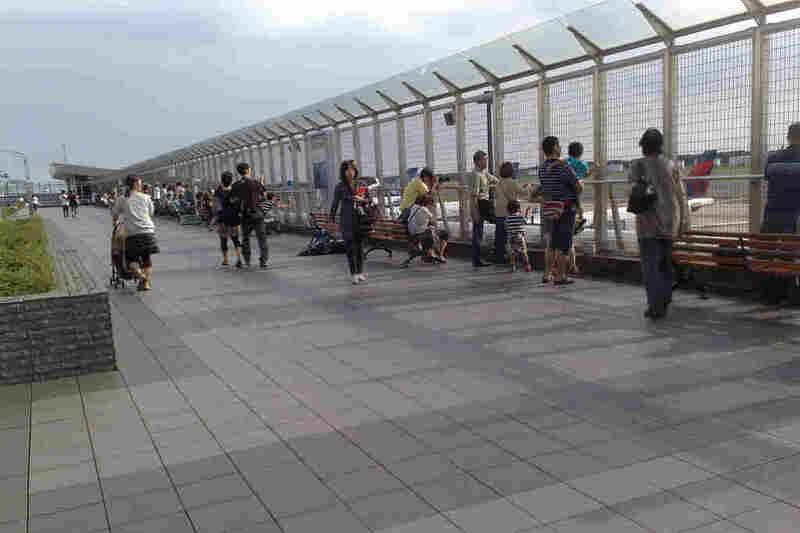 Narita airport boasts an outdoor, rooftop observation deck where you can watch planes of every make and model and country take off and land. Huzzah! Brussels' airport doubles as the largest chocolate shop in the world. This is not a joke. The vendors sell more than 800 tons per year — more than anywhere else — and guarantee the best prices on Neuhaus, Godiva and Corne Port-Royal chocolates. If you find better value somewhere else they will pay you back twice over! 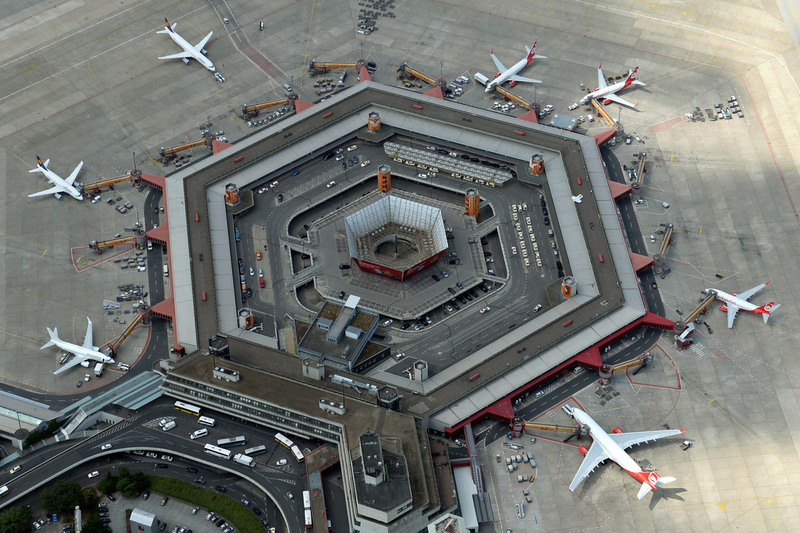 Tegel terminal is a large hexagon. The honeycomb shape is repeated in towers, stairways and floor tiles. In the words of one waylaid passenger, "Spend an afternoon wandering Tegel, photographing ceilings and things, wondering why everyone else is not doing the same." Also makes you wonder why more airports haven't followed suit, since the shape also allows for some of the shortest flight connections you can imagine. Buffalo's Niagara airport has a satellite location of the famous Anchor Bar, known as the original home of Buffalo chicken wings. There is some debate as to whether the airport wings can really hold their own against the wings on Main Street, but according to at least one Buffalo native, "They're the real deal." Singapore's Changi airport has many amenities worth mentioning, among them free massage chairs, a Balinese-themed swimming pool and self-flushing toilets. 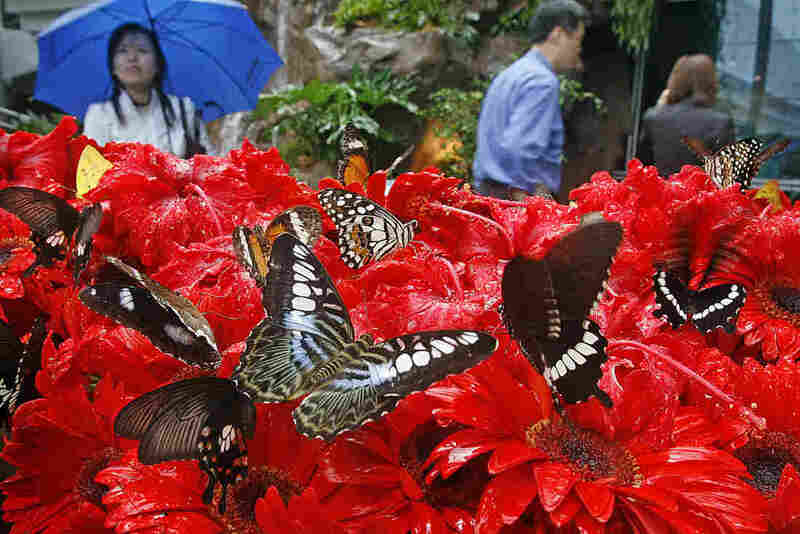 But what will really make your day on a layover in Singapore is the butterfly garden. Nestled in Terminal 3, it's home to more than 1,000 butterflies. Dutch efficacy is hard to beat, and Schiphol airport is a prime example. European travelers have consistently named it the best of The Continent's airports. But Schiphol's true claim to fame is its wide variety of hard-to-find gummy candy. Pasta-Frutta anyone? Oh, and the loungers upstairs make for excellent napping. In addition to an open-air biergarten, Munich's airport brews beer on the premises at Airbrau. And it's pretty darn good. You can sit on the beach and wait for your flight to come in. No security lines and plenty of iguanas are a bonus. This one is a bit of a stretch, since it's not actually in the airport, but Petra's falafel is within walking distance of the airport. It's delicious and oh-so-cheap. For a city that has been called the "world's most boring," that's something. 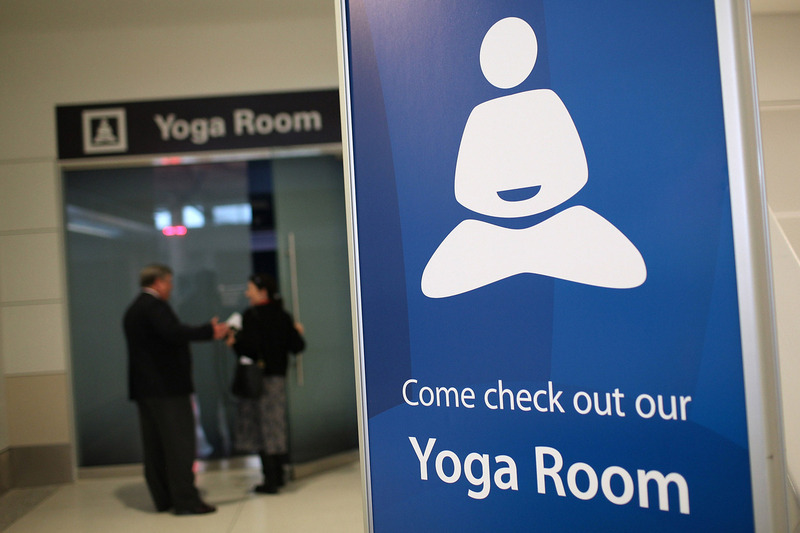 San Francisco isn't the only airport with a yoga room. Burlington, Vt., and Dallas-Fort Worth, Texas, have one as well. But San Francisco was the first. Right after the security checkpoint in Terminal 2, travelers can step into a space devoted to "contemplation and self-reflection," according to the official press release. It's hard to miss with signs featuring a yogi in a lotus pose now all over the airport. In a similar vein, the Raleigh-Durham airport in North Carolina and Albuquerque's airport in New Mexico now have meditation rooms. Getting stuck in Lagos, Nigeria, may not immediately seem like a great idea. But then again maybe you don't know about the meat pies: $50 gets you unlimited access to meat pies and all-you-can-drink Star beer. And the best part, according to a traveler who has enjoyed one such 72-hour buffet, is that "when there's power you can watch TV." Near Terminal 2 at Hong Kong's International Airport is Skycity Nine Eagles Golf Course, Hong Kong's first nine-hole golf course created to USGA standards.